It will be the Christmas Lighting Ceremony at Queens Crossing Mall. 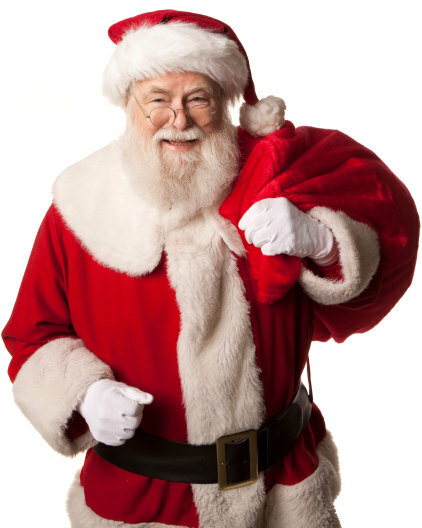 Santa will join on the stage for lighting (outdoor) and take photos with guest (indoor). Time will be 6:45-7:45, cant select that time frame, Thank you! Christmas is one of the most magical times of the year, and nothing will light up your little one's face like a visit from Santa Claus! Straight from the North Pole, Santa brings a jolly demeanor and bright red suit. He's happy to listen to Christmas wishes, take photos, eat cookies, and pass out presents! If you're on the nice list, Santa may even read "'Twas the Night Before Christmas" for your party guests. Santa Claus isn't just for kids, though! Adults love him too, and he can help pass out eggnog or just take fun photos at your holiday party. Whatever you're planning, your Christmas party isn't complete without a visit from Ol' Saint Nick! Search for Santa Clauses in Flushing, New York above. Please note that these Santa Clauses may also travel to College Point, Whitestone, Corona, East Elmhurst, Jackson Heights, Fresh Meadows, Rego Park, Forest Hills, Woodside, Oakland Gardens, Kew Gardens, Middle Village, Maspeth, Douglaston, Richmond Hill, Sunnyside, Hollis, Queens Village, Little Neck, Woodhaven, Jamaica, South Richmond Hill, Ridgewood, Long Island City, Ozone Park, Kings Point, Great Neck, St Albans, Bellerose, and Long Island City.